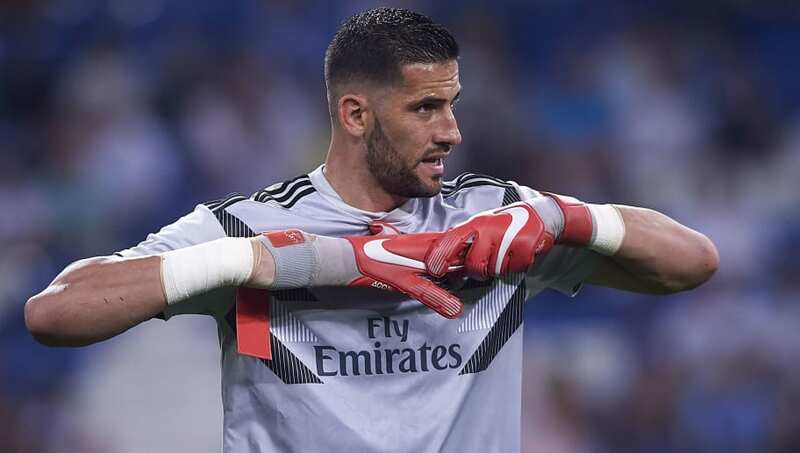 Championship leaders Leeds United have confirmed the arrival of former Spain international goalkeeper Kiko Casilla on a four-and-a-half year deal from Real Madrid. United have been heavily linked with a move for Casilla in recent weeks as they look to strengthen their chances of winning the league title this season, and it was heavily speculated that the 32-year-old could sign on the dotted line before this weekend. Leeds have since announced on their official website that they have indeed been able to lure Casilla away from the Santiago Bernabéu, becoming manager Marcelo Bielsa's first signing of the January transfer window where he'll be given the number 33 shirt. Casilla has spent almost four years with Real Madrid - his second stint with the club - where he's competed for a first-team place alongside Keylor Navas, and most recently former Chelsea goalkeeper Thibaut Courtois. The goalkeeper actually made a name for himself in Catalonia, however, where he was the first choice shot-stopper at Barcelona's local rivals, Espanyol. Casilla's performances at the Estadi Cornellà-El Prat eventually convinced Real Madrid to sign their former academy player in 2015 for €7m, where he's gone on to make 43 appearances for the club, keeping 15 clean sheets. At Elland Road, Casilla will be fighting for a place in between the sticks with Bailey Peacock-Farrell and Will Huffer. The former has played in all but one game this season, missing out to Huffer due to injury against Bristol City. Former loanee goalkeeper Jamal Blackman, who returned to his parent club Chelsea due to a serious injury, was the club's first choice during their brief run in the Carabao Cup.